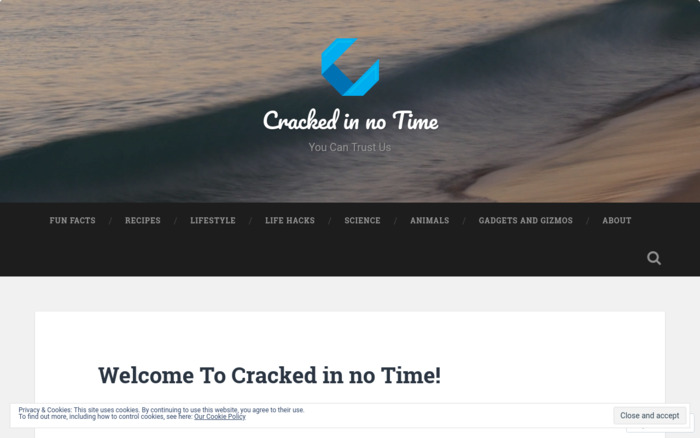 Cracked in no Time is just a simple website that has various information for different types of categories including Cooking Recipes and Animals. All the information given by the channel are from other sources with their credit at the bottom of each of every post. You can trust us.